Every year, Green Lake National Fish Hatchery rears nearly one million salmon that are disease-free and river-specific to ensure the fish successfully transition to the wild. 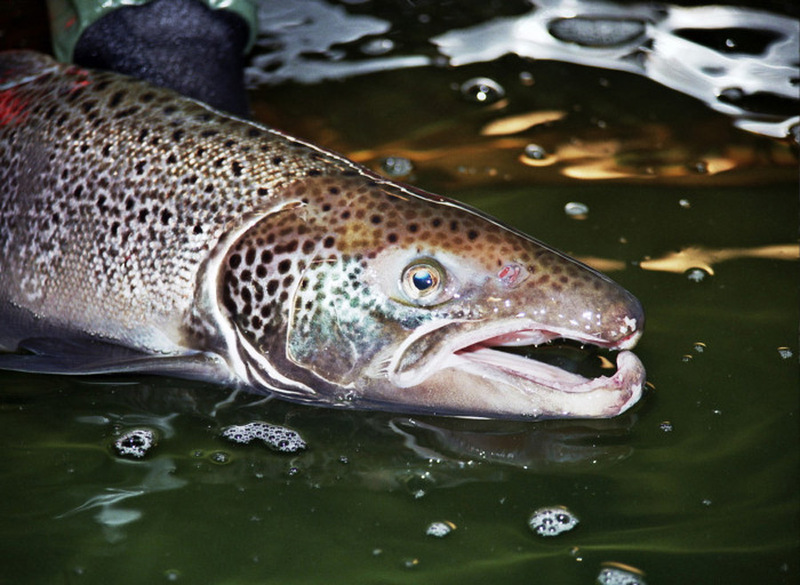 Three out of every four Atlantic salmon returning to US waters originated at Green Lake National Fish Hatchery; bringing Atlantic salmon back to the Penobscot River has been the major restoration effort in Maine, and the most successful in New England. Take a self-guided tour of the hatchery, and access boating and angling opportunities on nearby Green Lake, Graham Lake, and the Union River. Year-round. Parking. Restrooms. Accessible. Water access. In the late 19th century, Maine Central Railroad promoted the Ellsworth Region and Green Lake as an anglers’ paradise: “…the enthusiasts of the rod can find in the cool, sparkling brooks and lakes in the vicinity speckled beauties without number.” At that time, a weir and hatchery for producing land-locked salmon was under construction. Sea-run Atlantic salmon in Maine are on the endangered species list, but communities have been working to restore this fish to Maine rivers for more than a century. 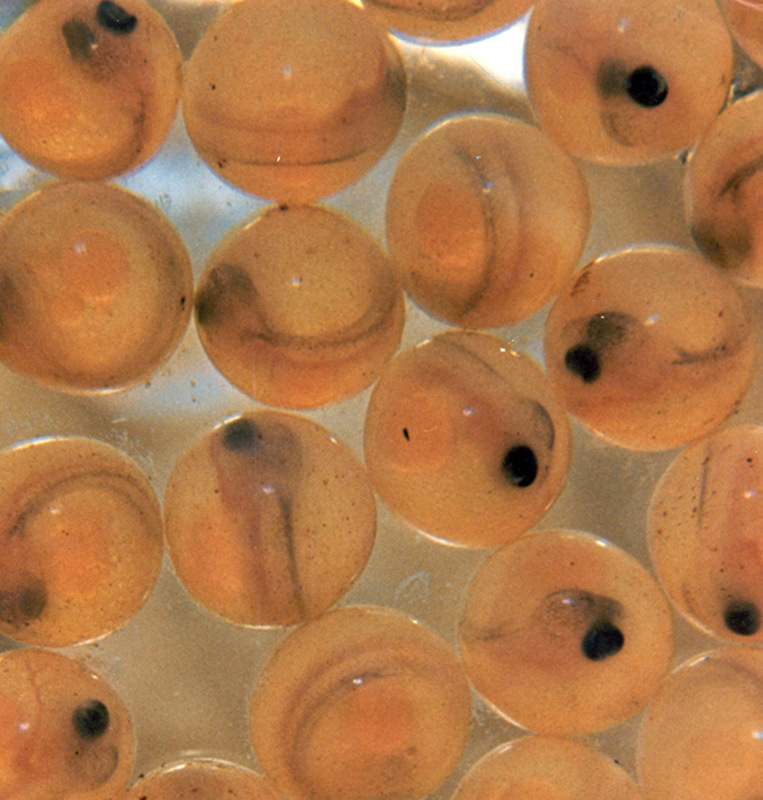 Salmon eggs hatched at Craig Brook National Fish Hatchery [link to site page] are transferred to Green Lake for raising to the smolt stage. Atlantic salmon are diadromous—they hatch in freshwater but leave to spend most of their life in the ocean, and return to the same freshwater rivers to spawn years later. 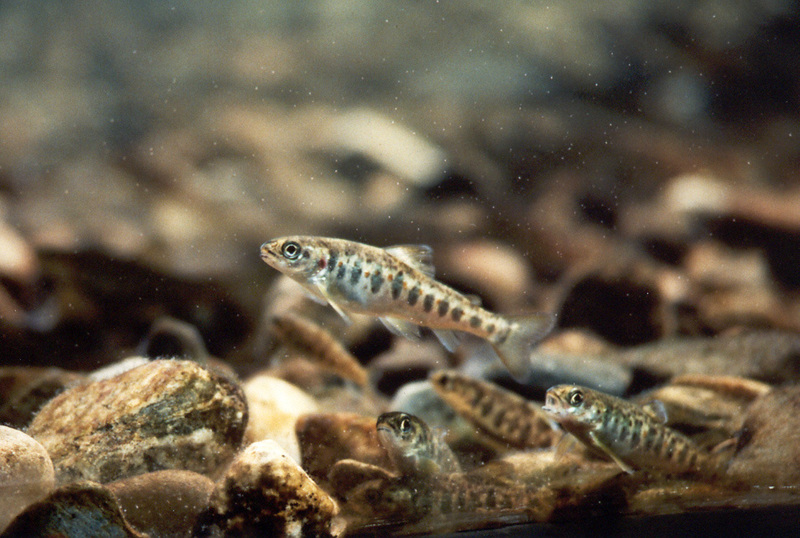 The smolt stage is when juvenile fish begin preparations for entering saltwater. The fish changes outside, becoming streamlined and silvery, and inside its gills transform to regulate salt. Green Lake is one of four lakes in Maine where land-locked salmon originated. 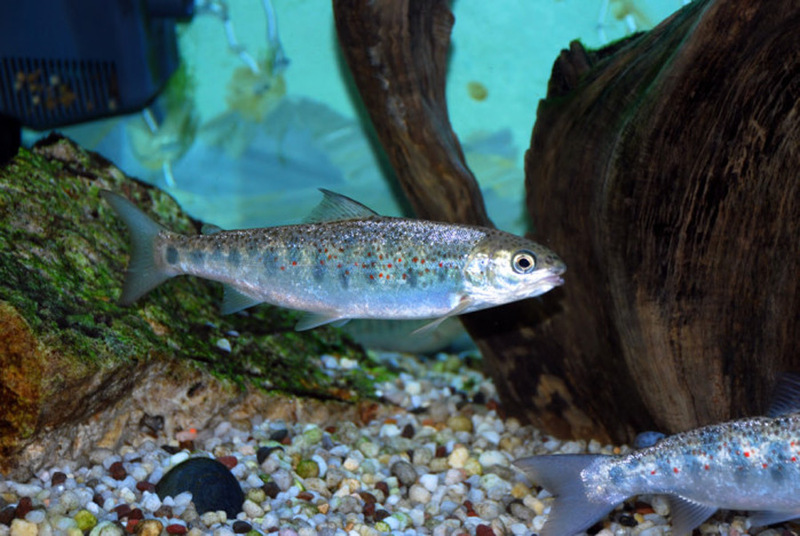 This freshwater form of Atlantic salmon emerged as the last glacier receded from the region some 14,000 years ago. As the land, freed from the weight of the ice, began to rebound, salmon that had moved inland in the glacier’s wake became stranded and some adapted to year-round life in freshwater. In addition to Green Lake, these “land-locked” salmon occurred in Sebago, Sebec, and Grand lakes. Today, they are found throughout Maine as a result of stocking by the Maine Department of Inland Fisheries and Wildlife. The construction of dams on the Union River during the 18th century all but eliminated shad, salmon, alewives, and striped bass in the Union River. The first dam at the head of tide was apparently built in the 1780s; by 1845, there were eight dams on the lower portion of the river. Dams block these fish that migrate from the ocean to freshwater to breed. Today, people fish for adult eels in the river and, in the spring, the river fills with the funnel-shaped fyke nets that collect elvers, or glass eels, the juvenile form of eels that migrate from the ocean to freshwater rivers and lakes. Alewives run in the Union River during the months of May and June, and in some years are harvested commercially. Rainbow smelt also run in the Union. Haynes, George H. 1889. 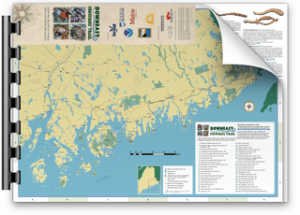 Ellsworth, Maine: Picturesque City of the East and Green Lake The Tourists’, Anglers’, and Hunters’ Paradise. Lewiston, ME: Journal Press (Maine Central Railroad tourism booklet). Voices of the Fisheries Interview with Maine Shellfish Company, headquartered in Ellsworth.